The New York City Council passed a proposal to demolish the Spofford Juvenile Detention Center in the South Bronx and replace it with an affordable housing and jobs project. Rendering of The Peninsula by BLA + WXY courtesy of The Peninsula JV, LLC. 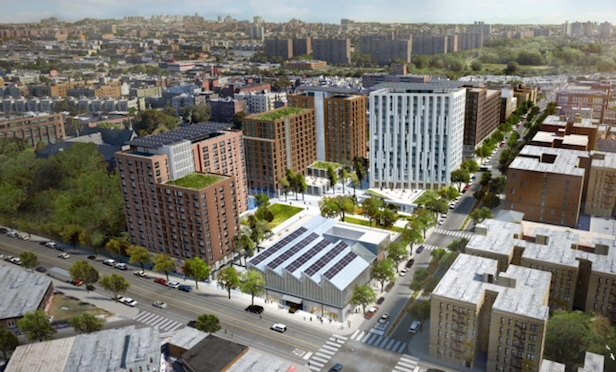 NEW YORK CITY—A $300 million plan to tear down the former Spofford Juvenile Detention Center in the South Bronx’s Hunts Point and build a five-acre, live-work, mixed-use campus was approved by the New York City Council.